For 137 years, Met Life has been insuring the lives of the people who depend on it. Its success is based on its long history of social responsibility, strong leadership, sound investments, and innovative products and services. In 1909, Met Life Vice President Haley Fiske announced that “insurance, not merely as a business proposition, but as a social program” would be the future policy of the company. Over the years, Met Life has made a difference by supporting urban renewal projects and community financing. The company’s social commitment and its commitment to the security of its policyholders have proven to be good business. 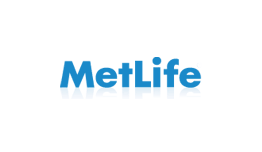 MetLife’s stated long-term goal is to become the recognized leader throughout the world with over 100 million people as customers by the year 2010. The company took a major step toward realizing this goal in January 2005, when it announced its intention to purchase Citigroup’s Travelers Life & Annuity and substantially all of Citigroup’s international business for $11.5 billion. Term insurance is generally the least expensive and least complicated type of life insurance. It provides insurance protection at a low cost for a specified period of time, such as 10, 15, 20 or 30 years. If you die within the term period, a death benefit is paid to your beneficiary. If you are still living at the end of the term, protection ceases unless the policy is renewed. There is no “accumulation” element, or cash value with term insurance. If your needs change, most policies allow you to convert your term policy for a permanent life insurance policy without having to take a medical exam or provide other information about your health. Term insurance is a good way to supplement other coverage when you have added financial responsibilities for a given period of time (e.g., mortgage, college expenses). Premiums generally increase with age and they could become unaffordable later in life. There is no cash value element, so you miss the tax-deferred cash value of permanent life insurance policies, such as Whole Life. Once the term period expires, the insurance coverage ceases and the policy has no further value. People who think that long-term care is just about nursing homes, quiet solitude and the gentle passage of time couldn’t be more misinformed. Long-term care includes a range of services that help people with the tasks of everyday life, like taking a shower or dressing. Care may be provided in a number of different ways and settings, from home health care to assisted living facilities and nursing homes. It can also include adult day care. Providers range from homemakers to registered nurses and therapists. Your lifestyle: Something to think about.